*Beyoncé didn’t just strip to her bra and Daisy Dukes and throw some flowers in front of a blue-sky backdrop to announce her pregnancy on Wednesday. Turns out it was carefully art-directed with purpose. According to ArtNews the image shared on Instagram was the work of Awol Erizku, a 20-something Ethiopian-born, Bronx-bred artist based in both New York and Los Angeles. His involvement was confirmed with a source close to Miami’s Nina Johnson gallery, where the artist exhibited late last year. Erizku grew up in the South Bronx and attended college at Cooper Union School of Art before going on to Yale University School of Art, where he earned a BFA in 2014. He honed his craft under such photographers as David LaChapelle, Lorna Simpson, Margaret Morton and Christine Osinski. 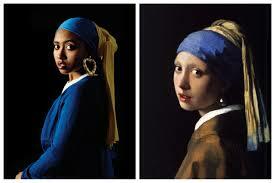 Having first garnered attention for “The Girl with a Bamboo Earring” (above, left) a take on Vermeer’s “Girl with a Pearl Earring,” Erizku uses photography and conceptual art to engage in a conversation with art history and the role that race plays in it. He was proclaimed “the Art World’s New It Boy” by Vulture in 2015, and has exhibited at the MoMA, the Studio Museum in Harlem and lectured in conjunction with artist Carrie Mae Weems at the Guggenheim. 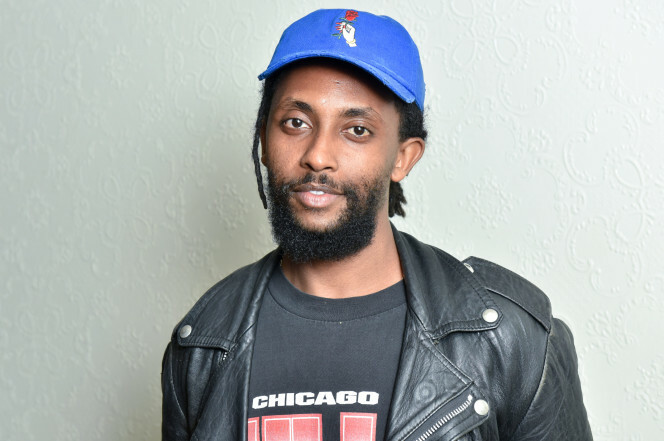 Erizku is scheduled to have shows at Los Angeles’ Night Gallery and at Ben Brown Fine Arts in London this year. meaning of the green veil in Beyoncé’s announcement. I must be the only one who thinks its tacky & tasteless!! What’s with the mismatched bra & bottoms?